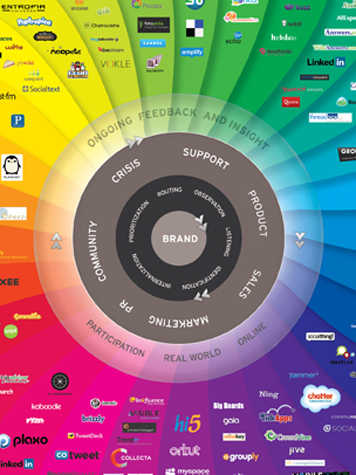 In 2008, Brian Solis and JESS3 partnered to launch "The Conversation Prism":http://www.briansolis.com/2008/08/introducing-conversation-prism/, a graphic which maps out the social media landscape. As social media continues to grow and evolve, platforms appear, disappear, acquire each other, get renamed, and thus the Conversation Prism changes with it. This third version of the Conversation Prism reflects the changes the social media world saw in the past year. 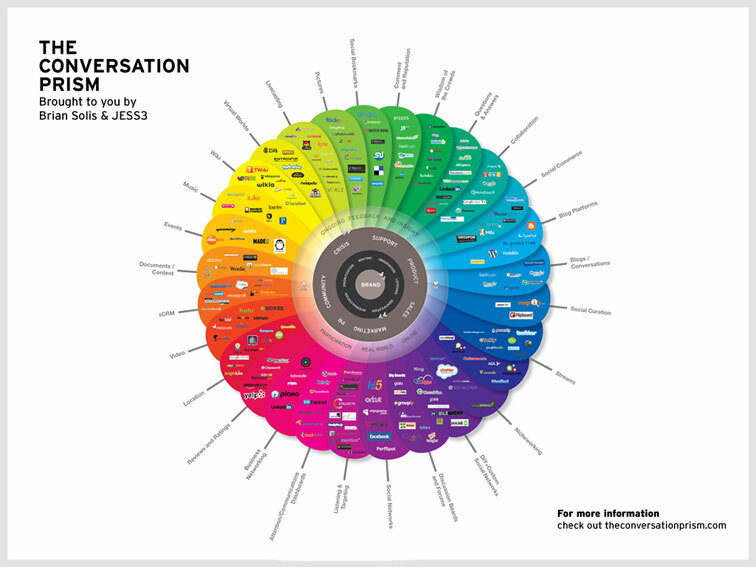 The Conversation Prism has been featured in hundreds of on and offline media outlets, including Communication Arts and a variety of social media presentations and textbooks. Further, it has become an international symbol of organizing the massive social media landscape into categories and nation-specific platforms, with translations and versions pouring in from all over the world -- Poland to China, France to Russia.